How to avoid the shine effect on your face? How to guarantee a better hold on your make-up? Choose the ZAO Compact Powder! It fixes, mattifies and unifies the complexion to obtain a silky and velvety finish. 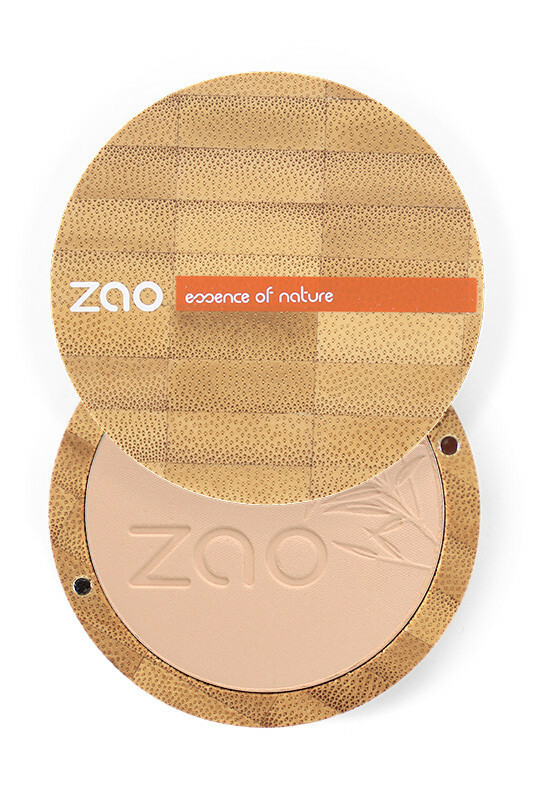 Its 100% natural & vegan formula is suitable for all skin types, especially the most sensitive skins. 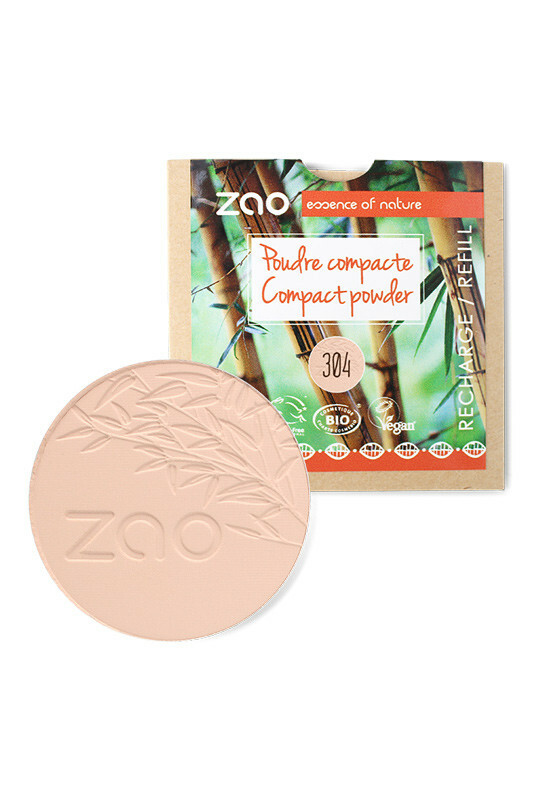 All our Zao Organic Compact Powders are free from talc. 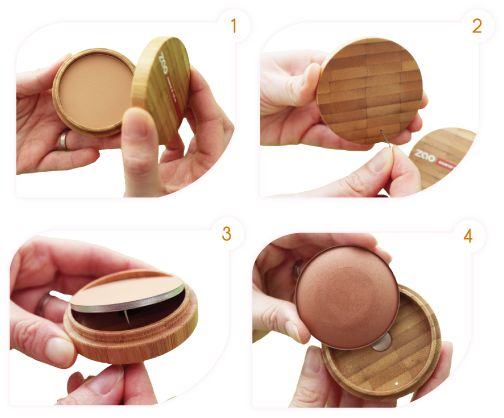 How to choose the right shade of Compact Powder ? 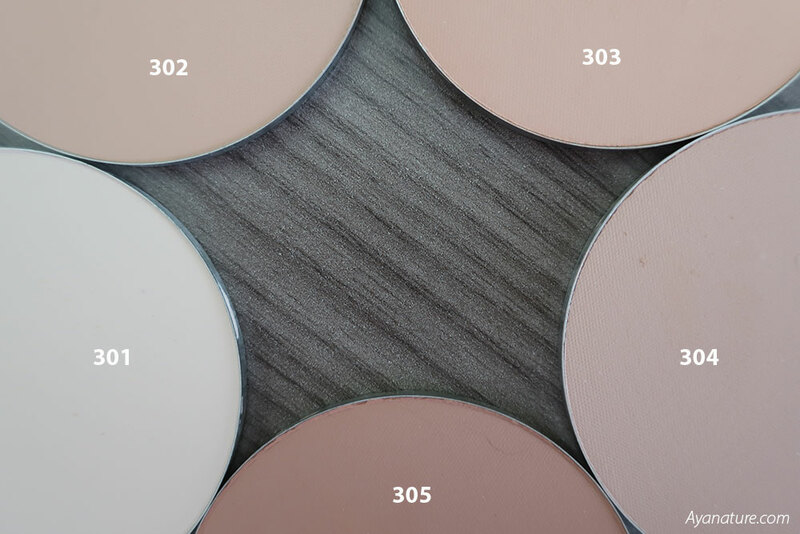 301 is an invisible powder that suits fair complexions. 305 suits matte and dark complexions. 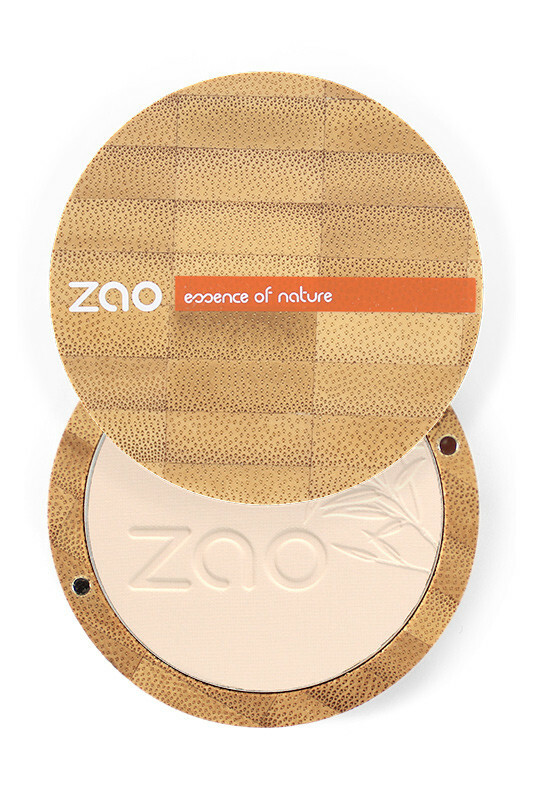 Have caught the sun with the ZAO Compact Powder ! An essential item in your beauty case, the pressed powder provides a shine-free complexion with its high capacity to absorb the oil on your skin, keeping it soft and velvety. For a mattifying effect, apply the compact powder lightly with the powder brush. 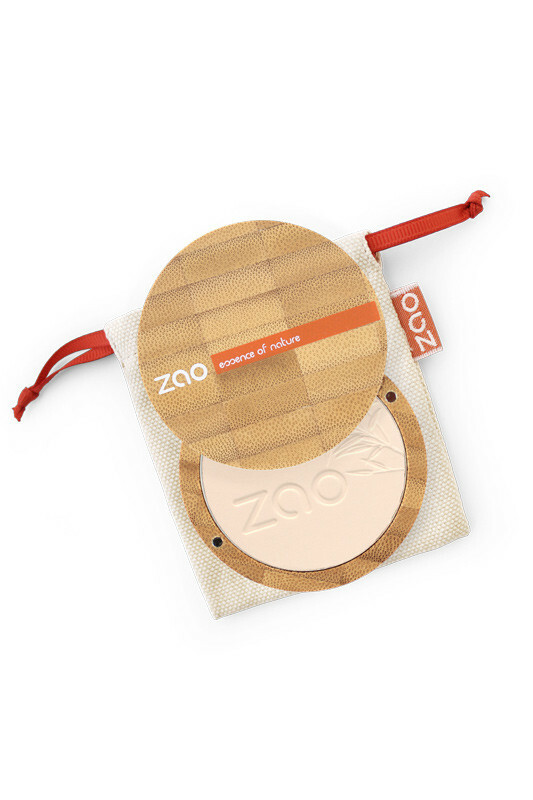 To cover skin problems, apply the pressed powder with a sponge. In both cases, always choose a shade similar to your skin tone and use the product immediately after your day cream. 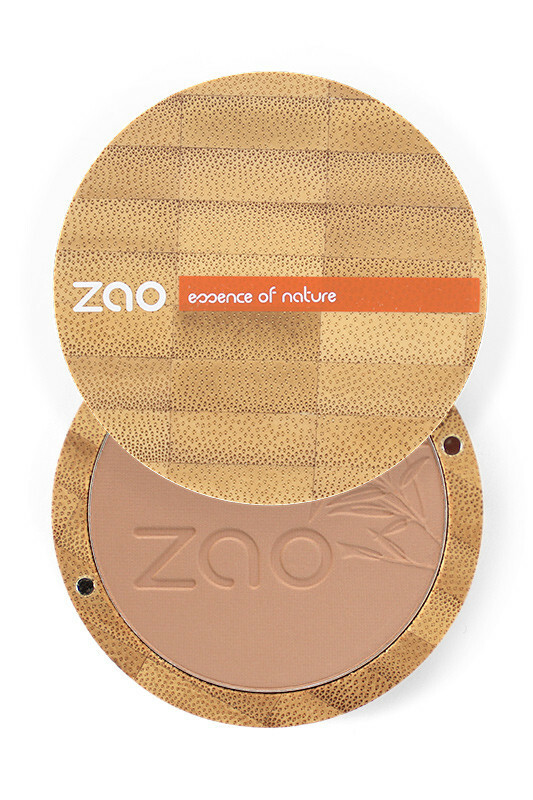 To perfect your complexion after applying foundation, dust pressed powder on the entire face. 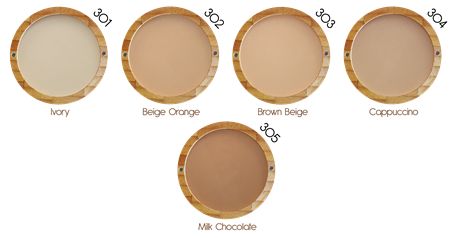 Choose a shade similar to your skintone. For a natural effect, use a powder brush; for a "baby doll" result, choose a sponge. Always remember to dust the eyes before applying pencil eyeliner and mascara. This will prevent any smudging effect right through to the end of the day ! Looking for a darker shade? Go for the cooked powder no. 344 (chocolate) – this is a matt cooked powder that cannot only be used for a bronzing effect but also as an everyday powder to mattify the full face or as a blush.